Digital fundraising is constantly evolving, so it's important to stay on top of emerging trends and take advantage of new tools. Here are eight trends that you can use now to better engage with supporters and raise more money. Lightboxes are pop-up graphics that appear after a few seconds of visiting a website. They're a surefire way to grab the eye of your website visitors and call attention to a specific fundraising campaign. You can configure lightboxes to only show up on your most viewed pages and set them to show up only once per visit so that you don't irritate your visitors. For an example of a lightbox, check out Snow Leopard Trust's website below. The lightbox pops up after you scroll around for a few seconds. Historically, one-time giving was the default, but now the trend is to make monthly giving the standard. Monthly giving helps offer a more digestible donation amount that can be broken up into small chunks ($10 per month versus a one-time donation of $120). Giving monthly gifts is popular with people who are recent donors, frequent givers, and multichannel donors (such as those who have already made a gift in the mail). In 2017, 24 percent of all online donations were made on a mobile device. As this number increases, it's important to have a mobile responsive website and emails. One way to track how much traffic you're getting from mobile devices is to look at your Google Analytics metrics (or those from whatever website tracking tool you use). 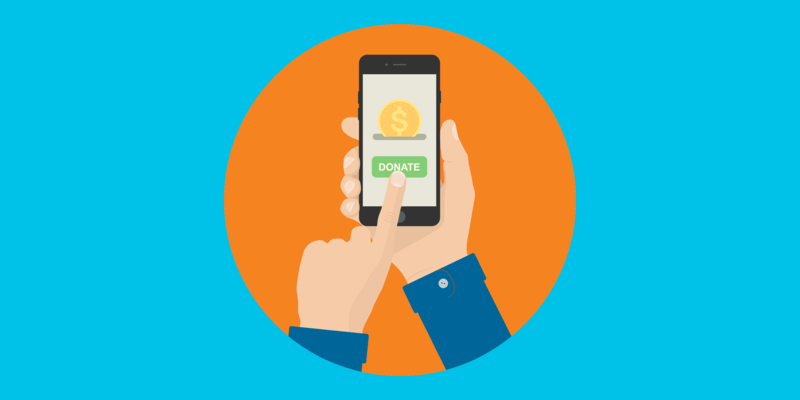 If more than 20 percent of your online donations are mobile, it's important to ensure that all your marketing efforts are mobile-friendly. Instead of one long and overwhelming donation form, use several steps to make the process more engaging. Breaking things up into several user-friendly steps makes the experience more interactive. It also gives users the feeling that the process is moving forward. You can now track who has put a donation in their cart and then abandoned it using special tracking tools. In an effort to recover those donors, you can run targeted marketing campaigns aimed at helping them convert into actual donors. Perhaps they have some hesitation because of the donation amount, or maybe they needed more information on the organization before committing. You can send targeted follow-up emails to these users with more information on the organization or offer an alternative amount that might help them complete the donation process. Many donor platforms now have improved mobile tools, are social media–friendly, and have credit card management systems. For a side-by-side comparison of each one, Idealware provides a useful chart for selecting a donor management system that is right for you. 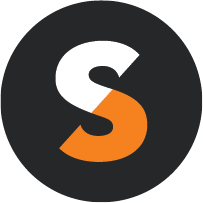 Having this type of integration allows you to craft the full picture of who your donors are and what they are doing on your site. This complete picture will allow you to run smarter campaigns based on donors' activities and donation amounts. According to an M+R Benchmarks study, email fundraising revenue increased by 24 percent in 2017 and accounted for 28 percent of all online giving. The study also stated that for every 1,000 fundraising email messages delivered, nonprofits raised $36. Email is a very quantifiable tool that allows you to see open rates all the way through donations. Trends in email include mobile responsive templates (see above) and countdown clocks. Countdown clocks help recipients feel the urgency of the campaign and visualize how close or far your organization is from its final goal. In 2017, Facebook introduced a personal fundraising tool that allows users to ask friends to donate to a specific organization. Nonprofits, especially smaller organizations, can leverage these personal fundraising campaigns by activating a team of supporters and equipping them with what they need to launch a personal fundraising campaign. Nonprofits can provide these supporters with a landing page, graphics, or email copy. These and other fundraising tips were the topic of a recent free webinar at TechSoup. Find out more about how to use A/B testing for fundraising. Learn 6 Tips to Improve Your Next Fundraising Campaign Using Digital Storytelling.